Innovation Wellness and Massage is a place of health and healing. We are located in the beautiful Innovation Park Galleria building in Saskatoon since 2011. We offer many different therapies to include; Sports Massage Therapy, Therapeutic & relaxation Massage, Chiropractic Care as well as Acupuncture and Aromatherapy. We pride ourselves in customizing each tr eatment to our patient’s needs. Here at Innovation Wellness we work as a team and communication between practitioners is key to our success. Working as a team helps us to be aware of each others’ treatments and results, which in turn helps our patients heal at a quicker, stress free rate. 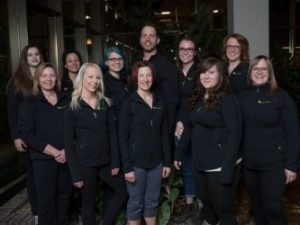 Each Therapist at Innovation Wellness offers their own style of treatment as well as their own knowledge base of their learned techniques, which allows us to offer a wide variety of therapeutic treatments. Take a moment to navigate through our website to see what we offer and get to know who we are.